Ulster will open their 2015-16 Pro12 campaign with a home game against the Ospreys on Friday, 4 September. The match will see last season's two beaten semi-finalists in opposition at Kingspan Stadium. On the same evening, Leinster will be away to Edinburgh with Connacht at home to the Dragons while Munster will face Treviso in Cork the following day. 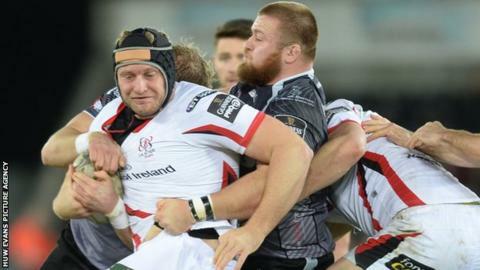 Ulster will also be against Welsh opposition in their second game a week later when they take on the Scarlets. The game will take place at Parc y Scarlets on Saturday, 12 September with Leinster hosting Cardiff Blues on the same afternoon. The previous evening, Connacht will be away to champions Glasgow while Munster's second match of the season will see them facing Ospreys at the Liberty Stadium on Sunday, 13 September. A three-week break will then follow before the first of four rounds which will take place during the World Cup. Ulster's game on 2 October will see them hosting Treviso while their final match during that month will be the first Irish derby of the season on 30 October as they face Munster at Thomond Park. The traditional Christmas all-Irish games will see Ulster in Galway on Boxing Day and Munster hosting Leinster on 27 December. On New Year's Day, Leinster will host Connacht with Ulster at home to Munster on Saturday, 2 January.